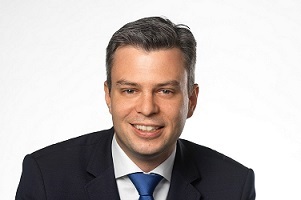 Marcus Grausam has been confirmed as CEO of A1 Telekom Austria AG, a subsidiary of A1 Telekom Austria Group. He was appointed interim CEO in October 2017. Grausam will also continue to perform his function as CTO. At Telekom Austria's Supervisory Board meeting, not only the change at the top of the company's Supervisory Board was sealed, but also the restructuring of the Management Board. Thomas Arnoldner (40), previously responsible for Sales & Services on the T-Systems Board of Management, replaces Alejandro Plater as Telekom Austria CEO. Economics lawyer Edith Hlawati takes over as Chairman of the Supervisory Board from Wolfgang Ruttenstorfer.